It was during my private devotional time with the Lord one morning when He showed me Acts 2:21, where the apostle Peter was quoting Joel 2:32. And He showed me that I wasn’t making the most of this promise of His. So I took some time to study these verses out, and I discovered that we make a mistake when we only apply these promises to our initial new birth experience. Many Bible scholars and commentators believe that when God says that “Everyone who calls on the name of the Lord will be saved,” He is inviting His people to call upon Him to act on their behalf in every area of their lives – in every point of need. When we limit the blessings of this promise to our initial salvation experience, we are robbing ourselves of deliverances that we can gain access to when we accept its broader applications. Now, when I have a specific need, I often draw upon the power of God’s promise by mixing it with faith. (Hebrews 4:2 NKJV) I say, “Lord Jesus, You said that everyone who calls on Your name will be saved, so I am asking You to deliver me from the aches and pains in my body.” Or, “Lord Jesus, I call upon Your name today for deliverance from debt and lack.” Or even, “Jesus, I ask You to save me from this ungodly habit.” I often get even more specific than this in my requests, and you can, too. The Amplified Bible reads: “And it shall be that whoever shall call upon the name of the Lord [invoking, adoring, and worshiping the Lord – Christ] shall be saved.” (Acts 2:21 AMP) If you adore and worship the Lord Jesus, then you have the privilege of calling upon Him for deliverance in every situation and circumstance. Call upon Him today, and discover just how eager He is to prove His faithfulness to His Word! Lord, I want to receive all the benefits of Your “very great and precious promises,” and I ask You to help me do that by giving me revelation and insight into how they apply to my life. (2 Peter 1:4 NIV) Teach me how to call upon Your name to receive all the benefits of my salvation. Don’t let me rob myself of the untold divine deliverances You have in store for me. Thank You that as I call upon Your holy name whenever I need Your saving help, I will experience Your faithfulness and Your presence in a greater way! 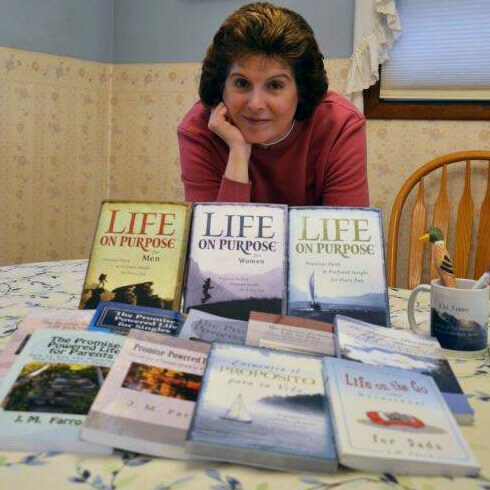 *For information on how to purchase J. M. Farro books, click here!